The U.S. Food and Drug Administration today cleared a complete blood cell count (CBC) test that, based on its categorization, can be run in more health care settings, including physicians' offices, clinics or other types of health care facilities, by a wider range of personnel (e.g. support staff). This broadened test access will allow for faster availability of results. Researchers and doctors at Uppsala University, along with Swedish and international collaboration partners, have found gene variants that predict the risk of a serious adverse reaction to drugs used for the treatment of hyperthyroidism. The results are published in The Lancet Diabetes & Endocrinology. 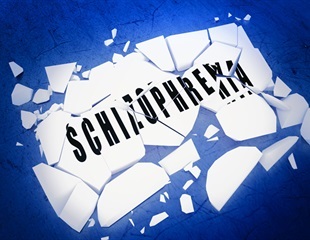 Clozapine (CLZ) is a "gold standard" drug for managing treatment-resistant schizophrenia (TRS), who do not respond adequately to first-line antipsychotics. In real-world settings, patients with schizophrenia whose symptoms do not respond to standard antipsychotic medications have better outcomes if they are switched to clozapine instead of another standard antipsychotic. They have fewer hospitalizations, stay on the new medication longer, and are less likely to need to use additional antipsychotics. A unique mouse model of Graves' disease, an autoimmune disorder that causes hyperthyroidism, and new research findings that may help improve the treatment of Graves' disease will be highlighted in oral and poster presentations at the 84th Annual Meeting of the American Thyroid Association, October 29-November 2, 2014, in Coronado, California. Jazz Pharmaceuticals plc today announced U.S. commercial availability of Versacloz (clozapine, USP) oral suspension, the first and only oral suspension clozapine for severely ill treatment-resistant schizophrenia patients or those at risk of recurrent suicidal behavior with schizophrenia or schizoaffective disorder. An older nonsteroidal anti-inflammatory drug (NSAID) called dipyrone may offer a new approach to reducing injury to brain tissue after a stroke, according to a study in the October issue of Neurosurgery, official journal of the Congress of Neurological Surgeons. The U.S. Food and Drug Administration today approved Ferriprox (deferiprone) to treat patients with iron overload due to blood transfusions in patients with thalassemia, a genetic blood disorder that causes anemia, who had an inadequate response to prior chelation therapy. ApoPharma Inc. today announced that the Oncologic Drugs Advisory Committee (ODAC) to the U.S. Food and Drug Administration (FDA) voted 10 - 2 to recommend that the FDA grant accelerated approval of Ferriprox (deferiprone), an oral iron chelator, for the treatment of patients with transfusional iron overload when current chelation therapy is inadequate. If the obvious reasons for avoiding recreational drug use aren't off-putting enough, physicians have yet another detrimental consequence to add to the list - crusty, purplish areas of dead skin that are extremely painful and can open the door to nasty infections. Doctors warned of a potential public health epidemic in a recent report on patients in Los Angeles and New York who developed serious skin reactions after smoking or snorting cocaine believed to be contaminated with a veterinary medication drug dealers are using to dilute, or "cut," up to 70% of the cocaine in the U.S.
Toxicologists across the country are sounding the alarm about a contaminant increasingly found in cocaine that is impairing cocaine users' immune systems, subjecting them to various infections and, in some cases, causing death. The U.S. Food and Drug Administration (FDA) Psychopharmacologic Drugs Advisory Committee (PDAC) conducted a review of the safety and efficacy of supplemental new drug applications (sNDA) for Seroquel XR (quetiapine fumarate) extended-release tablets proposed for the treatment of major depressive disorder (MDD) and generalized anxiety disorder (GAD). LIUS Molecular Design is pleased to announce that it has successfully created two antipsychotic drug candidates with third party confirmation of predicted biological activities via in vitro testing. AstraZeneca has announced the submission of a supplemental New Drug Application (sNDA) to the U.S. Food and Drug Administration (FDA) for once- daily SEROQUEL XR (quetiapine fumarate) Extended-Release Tablets to seek approval for the treatment of major depressive disorder (MDD) as monotherapy, adjunct therapy, and maintenance therapy in adult patients. There is a wealth of scientific literature available on the treatment of adults diagnosed with schizophrenia. AstraZeneca has announced that the company has submitted two separate supplemental New Drug Applications (sNDAs) to the U.S. Food and Drug Administration (FDA) for once-daily SEROQUEL XR (quetiapine fumarate) Extended-Release Tablets to seek approval for the treatment of manic episodes associated with bipolar disorder and the treatment of depressive episodes associated with bipolar disorder. The controversial drug dipyrone can treat acute headaches, but patients should be warned of the risk of potentially serious blood disorders (or "dyscrasias"), concluded a Cochrane Review team.